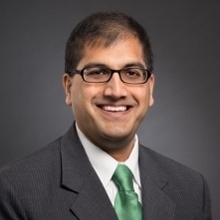 Nikhil, also known as Nik, is Board Certified by the Florida Bar as a specialist in Labor and Employment law (since 2010). He has provided advice and counsel and litigation defense to employers since 1997. Nik represents and defends employers, both private and public, in federal court, state court, and in front of administrative agencies such as the Equal Employment Opportunity Commission, the Public Employees Relations Commission and the National Labor Relations Board. Mr. Joshi also handles employer labor relations, including collective bargaining, and anti-union campaigns. Since 1999, Mr. Joshi has also defended and represented employee leasing companies (PEOs) and/or their client companies in employment-related litigation matters across the state of Florida. Licensed to Practice: In Florida since 1997; Admissions to U.S. Eleventh Circuit Court of Appeals; U.S. District Court, Middle, Northern, and Southern Districts of Florida. Education: University of Florida (B.S., Business Management 1992); University of Florida Law School and Graduate College of Business, Concentration in Human Resources Management (J.D. and M.B.A., 1997). Member: Co-Chair of Labor and Employment Section, Sarasota County Bar Association 2011-2013; Manatee County YMCA Lakewood Ranch Board of Advisors; Glasser Schoenbaum Human Services Center, Board of Directors; Karma Yoga Outreach Center (Yoga for Veterans and Special Needs Children), Board of Directors; Music is Medicine (musical therapy to those with health-related issues), Board of Directors; The Florida Bar (Member, Labor and Employment Section and City/County Government Section); and, Sarasota County Bar Association. Practice History: Allen Norton & Blue, 1997-1999; Kunkel Miller & Hament, 1999-2014; currently shareholder with Hultman Sensenig + Joshi, and Of Counsel to Miller Tack & Madson. Presentor: Nik has presented at numerous conferences and seminars across Florida and nationwide on numerous employment and labor law topics. Practice Areas and other Interests: Labor and Employment law representing management/employers – providing advice, counsel and defense in all aspects of employment law to employers, PEOs and their clients in all industries. In his spare time Mr. Joshi enjoys spending time trying to be a good father and husband, acting “like a kid” with his son and daughter, reading, being outdoors, volunteering for various causes, and supporting the Gators, the Lightning, Rays, and the Jacksonville Jaguars.